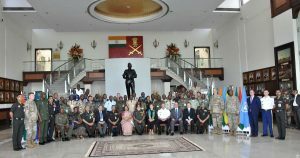 The third edition of the United Nations Peacekeeping Course for African Partners (UNPCAP) was inaugurated to build and enhance the capacity of the African Troop Contributing Countries to the UN. The UNPCAP sessions will be held from May 7-25. 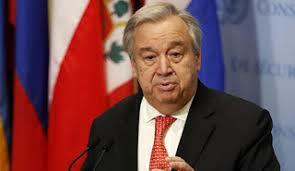 The course is conducted by the Centre for United Nations Peacekeeping in India (CUNPK) in partnership with the US. 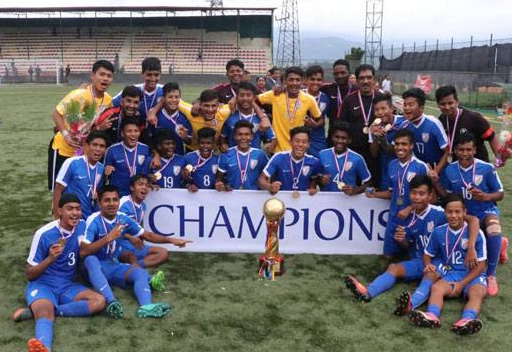 The first and second editions of the course were held in New Delhi. China successfully launched a hyperspectral imaging satellite for comprehensive observation of the atmosphere, including air pollution which is one of the country’s major problems. The Gaofen-5 satellite was launched off the back of a Long March 4C rocket from the Taiyuan Satellite Launch Center in northern Shanxi Province. 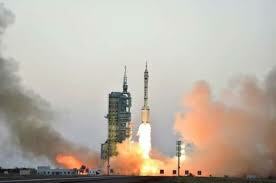 It was the 274th flight mission by a Long March carrier rocket. 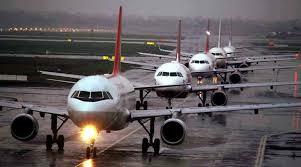 Israel, Germany and Belgium were competing for two seats allocated to the Western European and Others Group. In 2017, the total economic cost of climate-related disasters reached a record $320 billion. Guterres announced at the opening ceremony of the 37th session of the UN Economic Commission for Latin America and the Caribbean. 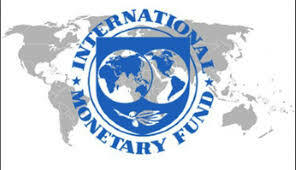 The International Monetary Fund (IMF) reaffirmed that India will be the fastest growing major economy in 2018, with a growth rate of 7.4 percent that rises to 7.8 percent in 2019 with medium-term prospects remaining positive. The IMF’s Asia and Pacific Regional Economic Outlook report said that India was recovering from the effects of demonetisation and the introduction of the Goods and Services Tax. The consumer price increase in 2017 was 3.6 percent and projected it to be five percent in 2018 and 2019. After India, Bangladesh is projected to be the fastest-growing economy in South Asia with growth rates of seven percent for 2018 and 2019. The deal is expected to be made public on Wednesday with Walmart chief executive Doug McMillon in India. 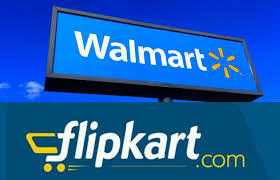 Walmart will buy roughly 70% of Flipkart. 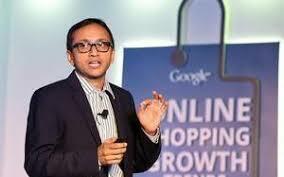 Google is expected to purchase up to 5% in Flipkart. Uber Technologies Inc. announced a partnership to study urban manned aircraft in conjunction with the US space agency NASA, following a partnership last year that focused on unmanned drones. As part of the deal, Uber will share its data with the National Aeronautics and Space Administration to move the world closer to developing air traffic management systems for a world with flying cars. 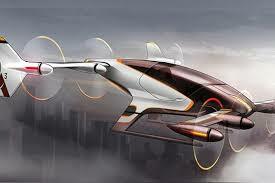 Uber has set a goal of testing these electric flying vehicles by 2020 and a commercial launch in 2023. NSIC also plans to enhance its activities in the areas of imparting entrepreneurship and skill development training by targeting 15 percent growth in the number of trainees. The agreement is also known as the Joint Comprehensive Plan of Action (JCPOA) . The reason for the withdraw is that Iran has been accused of failing to be honest about its nuclear ambitions while supporting terrorist groups. 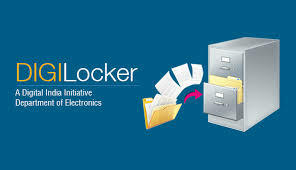 JCPOA is an international agreement on the nuclear program of Iran signed between China, France, Russia, United Kingdom, Germany and European Union. 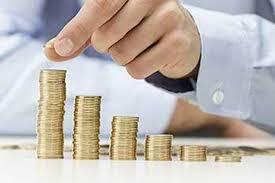 India slipped to the 6th position globally in the business optimism index for the first quarter of this year. The top five nations are Austria, Finland, Indonesia, the Netherlands and the US. The conclusions are based on a quarterly global business survey of 2,500 businesses in 37 economies. India has ranked fourth out of 25 nations in the Asia-Pacific region on an index that measures their overall power. The Lowy Institute Asia Power Index measures power across 25 countries and territories in the Asia-Pacific region. A country’s overall power is its weighted average across eight measures of power – economic resources, military capability, resilience, future trends, diplomatic influence, economic relationships, defence networks and cultural influence. The US claimed the top spot in five of the eight Index measures. 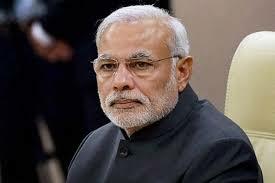 Prime Minister Narendra Modi has been named as one of the top 10 most powerful people in the world. In the Forbes 2018 list of 75 of the World’s Most Powerful People, Chinese President Xi Jinping ousted Russian President Vladimir Putin(2nd rank) to grab the top spot. It is followed by Donald Trump (United States). Modi (67) ranks ninth on the list. The PM ranks ahead of Facebook CEO Mark Zuckerberg (who is at 13th spot). United Kingdom Prime Minister Theresa May ranks at 14th position. Ambani has secured the 32nd spot and Microsoft’s India-born CEO Satya Nadella is on 40th position. The National Assembly of Armenia elected ruling Republican Party head Serzh Sargsyan as the country’s new prime minister. Sargsyan has previously been president of the country for a decade. 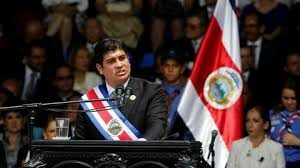 Journalist Carlos Alvarado was sworn in as Costa Rica’s president. He precedes Luis Guillermo Solis. 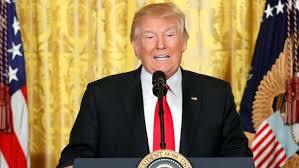 He promised to reduce the deficit from nearly 7 percent of gross domestic product to less than 3 percent. 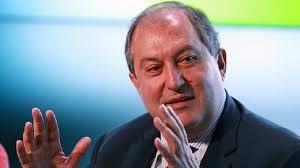 He also intends to improve employment, education and health and fight poverty as the Central American nation nears the 200th anniversary of its independence in 2021. Google has appointed Nitin Bawankule as the country head for its cloud business in India. Bawankule has been with Google for six years and was previously head of sales for its ecommerce, retail and classifieds and education business. Google recently opened a cloud location in Mumbai as it battles for market share with Amazon Web Services and Microsoft’s Azure. 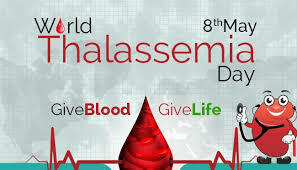 The theme for the day this year is “Thalassaemia past, present and future: Documenting progress and patients’ needs worldwide”. 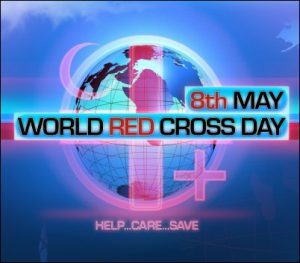 World Red Cross Day, 8th May is celebrated every year as the birthday anniversary of founder of the Red Cross. Henry Dunant was the founder of the Red Cross as well as the founder of International Committee of the Red Cross (ICRC). The World Red Cross Day theme of 2018 is “Memorable smiles from around the world”.